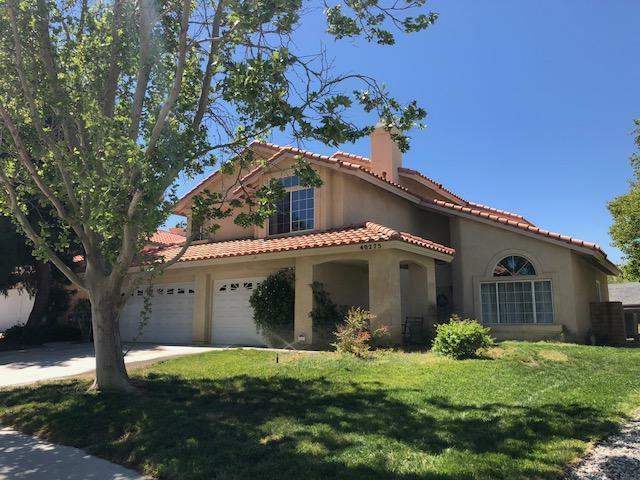 Beautiful Pool home in preferred West Palmdale on a quiet street.This home has an open and inviting entry, newly installed wood-look tile flooring throughout the first floor, 3 fireplaces, a Family Room, Living Room and a Bonus Room. There is a large kitchen with an island. The backyard has block wall fencing and a covered patio. Also close to Starbucks and Grocery stores. Don't miss out on this one!